• Indispensable around the office, saving time and increasing efficiency. • Made from 100% recycled paper. • 100 sheets per pad. • Perfect for personal reminders and messages. • Your messages will stick almost anywhere. • Notes are repositionable and do not leave residue behind. 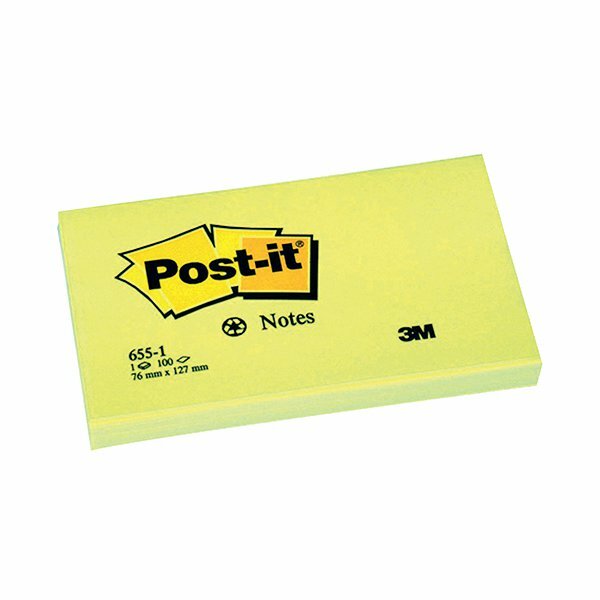 Ideal for desktop use, these environmentally friendly, repositionable Post-it Notes are made from 100% recycled paper with a strong adhesive that will adhere to most surfaces and remove cleanly. 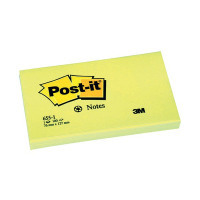 Perfect for making notes, or leaving messages and reminders, each pad contains 100 sheets and measures 76 x 127mm. This pack contains 12 pads in classic Canary Yellow.